Organize and easily maintain your employees' essential information in a database designed for staff management. Customize this template as needed to meet the demands of your business. DB-Pros are professionals at business database applications. 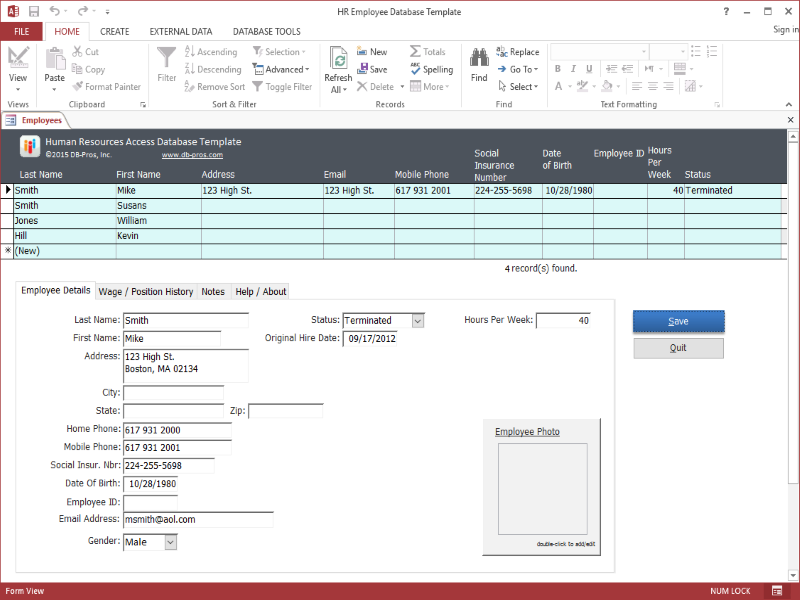 Now you can utilize a powerful MS Access database template to expertly manage key employee information like never before. Stop using clumsy MS Excel spreadsheet files and use a powerful business management tool designed by professionals for real businesses.